Linux a threat to Microsoft? No way! Recently, Microsoft made a minor change in their list of competitors by quietly discounting Linux as a major threat to their empire. It wasn’t a conspicuous change though, as only about 2 or 3 million users out of the 20 million Linux users managed to notice it. Out of those 2 million, only a few hundred users who weren’t in such a good mood that day managed to give a damn about it. What’s more, some Linuxians felt quite happy about Microsoft finally acknowledging the fact that Linux was never a threat; a powerful kick up the backside maybe, but threat? No way! 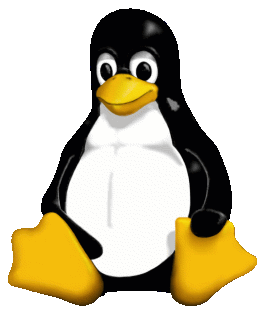 Over the years, Microsoft has made numerous attempts to thwart the growth of Linux and the open source culture in general and now after about 20 years of intense battle, Redmond has emerged victorious. How can Linux ever be a threat to Microsoft? Their Windows Operating System runs more than 90% of the desktops worldwide and Linux just 1-2%. Not even close. And so what if 100% of the top 10 supercomputers in the world are running Linux? They still have more than 90% desktop users. And what if that blasted Android runs half of the phones worldwide? They still have 90% destktop share, they’re still no 1. Hey and don’t start bragging about the 60% market share Linux has on the server front. They’re still the kings of the desktop; still ruling the world. From NASA to Wall Street, from Facebook to Google, Linux is everywhere, but Microsoft, they’re still obsessed about their desktop dominance. Time to wake up little puppy.